WASHINGTON, D.C. – The United States said Monday it was “deeply disappointed” after Aruba released a former Venezuelan military chief wanted in the U.S. for drug trafficking charges. Washington had made a “legitimate request” for the arrest of retired Maj. Gen. Hugo Carvajal in line with its extradition treaty with Aruba and the Netherlands and was “disturbed by credible reports” that the Venezuelan government had threatened both territories to win Carvajal’s release, State Department spokeswoman Jen Psaki said. “This is not the way law enforcement matters should be handled,” she told reporters. “Carvajal is under indictment in the United States, and is alleged to have used his former position as head of Venezuelan military intelligence to assist the activities of narcotics traffickers,” she insisted. A long-time supporter of the late Venezuelan president Hugo Chávez, Carvajal was arrested Wednesday on the Dutch island off Venezuela. But he flew home Sunday to be greeted with a hug by President Nicolás Maduro at a Socialist Party meeting in Caracas. 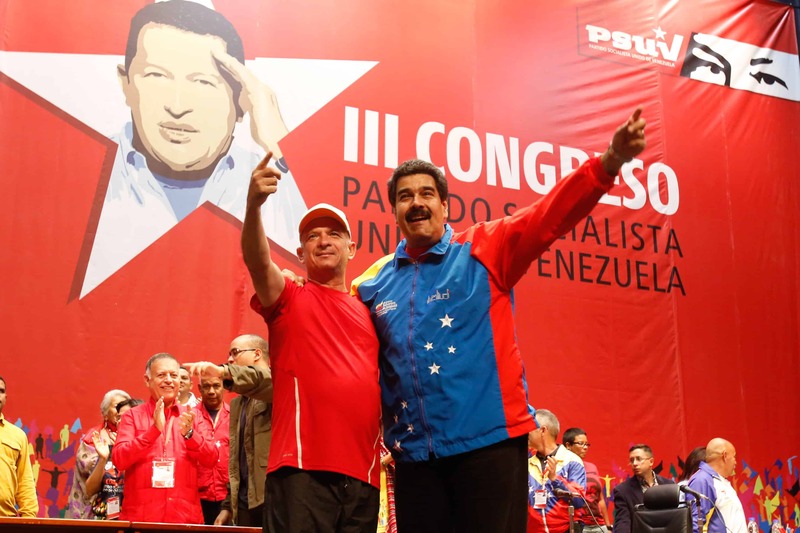 “We welcome our comrade the major general and thank God, who allowed us to clear up this brewing conflict by diplomatic means,” Maduro told party loyalists. Aruban officials on Sunday said Carvajal had diplomatic immunity, but nevertheless declared him persona non grata and said he would be arrested if he returns to any territory of the Netherlands. But she refused to detail what threats had been made, and added that Washington would continue to try to have him brought before a U.S. court.